RS Components now offers the SHT85, the latest best-in-class temperature and humidity sensor from Sensirion, the expert in environmental and flow sensing. The new sensor builds upon the company’s SHT3x series, which provides industry-proven CMOSens technology that for more than 10 years has offered highly accurate units with long-term stability. 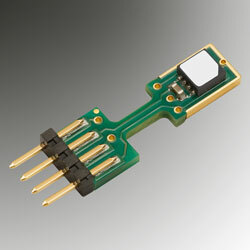 Adding to these capabilities, the device comes with a pin-type connector, which allows easy integration and replacement, and gives excellent thermal coupling to its surrounding environment as well as decoupling from potential heat sources on the main processing board. Able to function in harsh environmental conditions, the device also features a PTFE membrane that satisfies the IP67 rating. Created to protect the sensor opening from water and dust, the use of the membrane means the response time of the RH signal is not affected.